TubeWay is designed as a connection-friendly medium and long distance transportation system. TubeWay's are designed to carry people and goods in five tempo routes, through the all-moving internal drive. Environmental and resource conservation, energy efficiency and safety are the guiding motive here. At TubeWay, high-efficiency pneumatic skidding is the physical foundation. Analog to locomotives at the railway take over at Tube Way - distributed in the network - electrically operated solo jacking capsules a similar task. Your effort keeps the fast and weather-independent transport in continuous and hermetically held overall ride. There is a permanent airflow in the tube, to glide gently and without turbulence. This carries the cabs with only slight pressure difference: in front of a cabin as a suction and behind it as a pressure. The TubeWay drive mode allows traffic to flow harmoniously "like water in a hose". 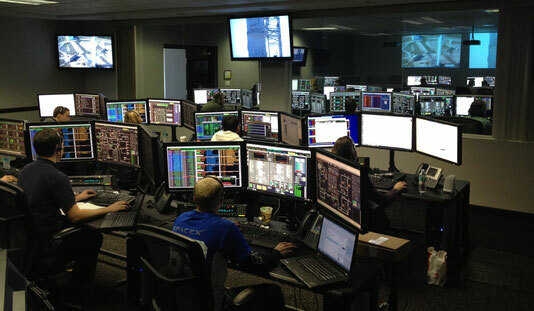 Each cabin is controlled individually via regional, computer-aided control centers. Attractive, light, hollow-walled tubes as elevated elevated tracks form the basis of TubeWaySolar. Instead of riding on wheels, TubeWay glide silently on a light Teflon scaly sole with micro air cushion. CO² emissions and noise as well as friction losses and the use of fossil fuels are completely eliminated. Because the energy needed to operate TubeWay is supplied by the sun. PV foils applied over a large area on the tubes generate electricity from daylight. The electricity surplus generated during the day provides the nightly mobility service via grid feed-in. # Unlike any magnetic field drive, TubeWay's does not burden its passengers or close-range residents with critical electromagnetic micro-red radiation *. Results from feasibility and cost-benefit study as well as acceptance and environmental testing are still pending. They require a sponsor. What business aspects and opportunities does TubeWaySolar have? The technical advance development can be created with little financial risk and accident-free on the 40 cm small urban supply and disposal network; which u.a. municipal waste collection reduces operating costs. The implementation of this project requires a lot of upfront investments and carefully planned implementation steps - but once established, TubeWay investors and operators could make steady, secure profits. With TubeWay, the energy and transport revolution could succeed. As an ambitious climate-friendly mobility project, it now needs initial establishment. The EU can use its R & D funding programs to invest in development in TubeWay, thereby reducing emissions compensation over the long term. Hopefully, results from the feasibility and cost-benefit study as well as the acceptance and environmental assessment will soon show that TubeWay offers growth prospects for the future. At TubeWay, only 50 m² per track kilometer must be calculated for the support base. The capacity of a Tube Way would be that of a six-lane highway. Nowadays, technical implementations are made very quickly: two dozen specialist teams and a dozen core-area companies offer financiers a manageable budget. For the step-by-step realization, teams of industrial specialists, high finance and the EU can find a mutually fruitful cooperation. It remains to be seen whether Elon Musk's "Hyperloop" will provide a broad-based general solution to our future need for general mobility. TubeWay is based on the 160-year-proven pneumatic tube post. TubeWay also leaves the field open for people, animals and agricultural work. can be returned to usable, green and quiet living and experience spaces for the residents. The ambitious project TubeWay now needs implementers who are establishing this sustainable and climate-friendly mobility generation.With TubeWaySolar as a broad traffic system, we can also extend the preservation of precious resources crude oil / natural gas a lot. For the climate damaging exhaust gases and road asphalt, our mineral oil is much too valuable! Even for an ecological future, we still need our crude oil for many applications that we do not know today. * The World Health Organization (WHO) argues that it has not been possible to properly assess the health effects of radiation. The Changsha Environmental Administration states that the planned light rail will have electromagnetic radiation with a field strength of 1.6 microtesla. This is far less than the limit of 100 microtesla people in China since 1998. However, the opponents point to the example of Switzerland, where the threat limit is at least only 0.2 microtesla. Transrapid in Shanghai: Crowds tend to favor the populations, especially because of their low noise level. However, the unclear health effects of electromagnetic radiation are cause for strife. The wearable value for China is currently the subject of heated debate. On the other hand, it is sometimes pleaded to set a unit value for the entire country. But if it came to a standard value, then 10 microtesla seems to be in question. After all, that would be fifty times the Swiss value - but at the same time only ten percent of the previous Chinese value. The construction costs of the Maglev light rail will depend on the outcome of this discussion. The lower the health policy accepted value, the more space must be left between the railway line and the nearest residential buildings. However, this may force you to make extensive, expensive land purchases in order to be able to meet the danger limit. If, for example, the Swiss value were chosen in Changsha, then 500 meters would have to remain undeveloped on both sides of the railway line. By today's Chinese value residential buildings can be built directly on the railway line. The change to the renewables can be done on all sides with advantages. After all, he should and must make it possible for future generations to sustain his life. Because our biosphere is in fact globally in danger. It is up to the high finance and large industries to move to sustainability and the preservation of our global common foundations to winsome. Time is pressing to preserve this wonderful and fantastically unique creation! Let us actively take this assignment! Please forward this preliminary study to the persons and bodies concerned with this topic. Now follows the technical to TW / Inter-City description (TW / IC), followed by the smaller dimensioned TW / Sit-in-surf (TW-SiS) for regional traffic and that of the urban TW / Supply and Disposal network. The solar energy harvest, the drive technology and the centrally managed logistics remain the same for all three variants, only their dimension and destination vary. The technical advance development can be - with little financial risk and danger - on the small 190 cm net or 40 cm network create; second lowers also the municipal garbage collection the operating costs. The initial network can generate the large IC network within a phased financing plan. Technical system - how do TWs work? Inner tube pressure difference - in front of the cabins as suction and behind them as compressed air. TubeWay-routes consist of 17 meter long sandwich tube modules made of robust safety hollow-walled glass with an inside diameter of 2.7 m (2). These tube modules are joined to each other via sliding sleeves and O-ring seals and are supported on slim section pillar archs (3) by vibration-free tensioning rope technology (3). Basically, two-directional tracks are considered, which are guided parallel to each other (sometimes side by side) with flexible spacers. At nature-sensitive places, load helicopters deliver the components to the track extension; and hold a pipe module (~ 7,5 tons) on site, for its speedy disposal, in limbo. carry. These relatively low loads bridge greater distance distances than allowed by conventional modes of transport in such a slim design. permanently effective airflows to their precoded destinations. The 26 m long cabins glide over a 1 m wide, mirror-smooth and glued with VHB tape from 3M Scotch and padded Nirosta steel gutter. Furthermore, a wafer-thin film of a special nano-seal provides an additional gliding effect on the mirror-smooth gutter. The soles of the cabins are flat-lying slip rings made of smooth and indestructible Teflon (4). The rings (5 x 5 mm, 13 cm in diameter) distributed on the carrier layer (made of cork) carry 20 kg at full load; and all recessed rings occupy only a 26th of the sole surface, so 1 m² contact surface. For further sliding optimization presses an electric on-board compressor, made of hair-fine nozzles in the middle of the ring, air on the sliding trough. This compressed air intake raises the unit on the straight lines from the dry sliding friction minimally high in a permanent "micro floatation". The sliding friction coefficient is thus in the extremely low range of ~ 0.01. The compressor is soundproofed behind a vacuum wall, housed with its internal air cooling. (1) In the same IC version, low-cost subway supplements can also be created as high-trains for our rapidly growing cities. In the city center, all TW routes run just above the buildings and partly rest on them. (2) The pipe diameter is only an average recommendation, in the dimension of which the most common groupage sizes find their transport volume. Large or too heavy or non-transportable dangerous goods can not handle this diameter and will continue to be transported by rail and freight companies. (3) The cantilever support arches (30 x 30 cm) with their bolting bases already carry two of the pipe modules in direct load. The bow zenith holds the two tensioning cables, on which another four track modules are supported dependent. / The tensioning cables may be in ultralight Dyneema fiber rope. They are stronger than steel, UV stable, light, water repellent and reasonably priced. (4) Teflon (PTFE - polytetrafluoroethylene) is - as a wear-resistant plastic - heat-resistant, abrasion-resistant and pressure-resistant. Sliding and friction values are both close to zero. // The extremely durable rings are also extremely cost-effective in relation to rail wheels or rubber-tired vehicles. // These teflon rings (500 / on 26 m²) form weight-distributing sliding surfaces. They are pressed into the 12 mm cork bed base layer in 3 mm deep milled fitting grooves. // In the center of the rings opens a 2 mm hard plastic pipe for the compressed air entry. These lines are embedded in the cork carrier layer at the back. The carrier layer (sole) is glued to the cabin. Just think of the example of a skater who slips almost effortlessly with his full body weight at only 30 skid-centimeters and is slowed almost only by the air resistance. // Even the extremely heavy sarcophagus for the Tschernobil reactor could only be moved by means of Teflon plates. Driving on 4 or 6 consecutive kevlar-reinforced drive wheels, these locomotives transmit their relatively frugal bull force of just ~ 3 kWh / km to the front and rear deck shields of all cabins. The propulsive force captures all sliding units in a pneumatically uniform, dual manner. For nearly complete freedom from noise operation of the TubeWay operation, the locomotives are designed with their e-motor as a closed vacuum wall cylinder executed. These agile, provided with a hinge connection, 3.8-meter-long electric locomotives follow their logistical working conditions. If necessary, they change over turning bends once on the opposite lane, another time to readiness loops. Tempo changes take place in barely noticeable gentle transitions and happen this way: The electric locomotives are set to one of the five tempos - via the sensory circuit - to the respective dedicated tempo section. In order to achieve more or less distance between the units at the location of the tempo change, the air that accumulates as excess in the deceleration is diverted vis-a-vis to the acceleration side by means of a pipe bend connection. The energy from the deceleration is introduced directly vis-a-vis as a pneumatic, lossless push-on force. Also, "chimneys" distributed on the route also allow an incoming or outgoing air volume control. The collective power of all electric locomotives benefits all units: it achieves the continuous momentum of the target-independent sliding masses. In linear airflow dynamics and the gentle dual force of suction and pressure, each electric locomotive pulls and pushes up to ~ 35 units. This half each force gives the entire non-stop system a high degree of smooth running. The TW drive mode allows traffic to flow harmoniously "like water in a hose". In order to make the air flow conveyance hermetically optimal, non-contact felt seals are applied to the outer wall of the cabin towards the pipe. As a multi-chamber seals whose profile forms rotating, fully sealing air rollers. The profile of these hollow chambers is round and outwardly designed tangentially open to the pipe wall. The direction of rotation of the air rollers, which is in motion, prevents the drive medium from flowing past all around. The efficiency of this hermetic and heat-resistant seal can be tested well in the flow behavior in an imitative concentricity device. The electric locomotives are also surrounded by a series of these seals. Against a penetration of suction or pressure forces on the front and back plate circulation each a soft lip seal preceded. All this first obtain the fully functional suitability for pneumatic tube transport. All capsules and cabins have curve-compatible joint connections in the ground at a distance of 2.2 meters. The 26-meter gliders, which are made of aircraft aluminum, weigh approx. 3000 kg and offer about 90 passengers - in the middle divided 4 rows, like in a coach - comfortable seats. Side windows open up a panoramic elevation view. Carried luggage will always find its storage space under one seat; With a folding table and USB a modern travel comfort is offered. The interior could be optimally made of natural lightweight materials (for example bamboo). The space for baby carriages, wheelchairs and suitcases is given in the entry area; there, these passengers may also get off. A toilet is located near the exit. The internal electrical supply is received by a contact brush from a laid in the tube bottom flat conductor. The contact brush is tightened on a moving rod from the rear. An air conditioning system regulates the fresh air intake and the internal temperature of the fresh air intake in the rear-top. Furthermore, standing room for up to 20 persons is available in the aisle. In a 35 meter long goods capsule, up to 15 gross tons of freight can be carried. Full occupancy comes about 10,5 tons on the sliding trough. All public stations are added to the main dynamic flow as a bypass. At the breakpoint (usually via traffic junctions or subway stations), two passenger lifts carry the passengers on or off the train path or ground level. By separate entrances and exits arise circulating passenger flows. Lifts and cabin arrivals run just in time. Cameras monitor these steps and then automatically close the exit doors. The approach of the cabins in the parallel-separated station tube happens by means of hydraulic leverage. The energy for the initial push in the station area comes from the back-fed braking energy of the incoming units; they transmit this force to flywheel dynamos embedded in the ground. These friction wheels at the sole point generate ~70% of the starting power requirement. The already described, hermetically compressing air vortex barrier is already created during the initial acceleration. At each passenger station and each loading location for goods, the gross weight of a sliding unit is weighed at the launch site. By means of an inductive regulator, the exact power required is then transmitted to the electric on-board compressor. Also, the exact starting torque is calculated for placement in the main pipe. Shortly after the start, at the end of the station bypass, there is again a gate. From this, each cabin is in the logistic control of the main stream; and is taken, from 40 km / h previously, now with 65 km / h.
Distribution locks are located before and after stations as well as at feeder lines and branches. These sluice gates work as nimble double-leaf sliding doors. At the branch junction forks the pipe splits up; and begins before that with a bifurcated gutter rocker as a switch and, depending on Tubeway, a sluice gate. The destination of the cabin automatically sets the switch and closes one of the tube paths so that the cabin follows the desired sliding channel and way directionive. At the branch, the pipes each have a (filter-equipped) air inlet. This worries the current quantity requirement of its distance. At feeder a controlled zipper principle becomes effective. At these junctions there are also turning or holding loops for the centrally concerted use of electric locomotives. In curves, the load weight follows its unimpeded momentum. In order to absorb the tendency of the differently heavy units to swing, the sliding channel is made wider there. Because of this freedom of balance, the curves are hardly felt at a constant pace. Also, capsules reach their destination with unshifted cargo. The ratio pressure / vacuum is at the respective speed in the same flow and allows only such large-scale long-haul transport. Five to twenty-five units per kilometer in TW are the system-energetic source ideal. By occupying the pipe sections with 2 meter wide photovoltaic thin-film ot OLED-foil, we obtain a year-round electricity gain. On north-south routes, we let moving PV lines automatically tilt towards the O-W sun (side shift). Currently, e.g. AltaDevices, Heliatek, Alwitra-Evalon cSi, Hanergy, Nanosolar or other AgAs, OLED, DSSC, PSC or CIGS layered cells (1) are good value for money. They are cut-to-size, lightweight and self-adhesive, as well as low-energy in manufacturing. Over a period of many years, PV foils deliver economical solar power, even in diffused light. We are also supplied at night and during extended periods of clouding via the feed-in coupling. The PV cells keep the trails shaded on hot days. Every three years, we preserve the PV cells or the whole tube with a nano-layer for self-cleaning Lotus-effect. In snow load regions, at the top center stroke of the modules - like a knife - an interval hot laser cuts through the snow cover. Ice and snow (because of the reflection heat on the dark, smooth PV surface and the nano coating) slip off by themselves at the latest in the morning hours. Even the winest conditions do not hinder the daily flow of electricity through the PV foils resting on the track. The excess electricity generated during the day can provide the mobility service after a grid feed-in as nighttime electricity. This bypasses the problem of massive battery charges (4). Summertime surpluses could also be sent competitively to consumers on the roads. I think the idea is very good. Have times the calculation with thin-film solar surfaces on the transport tubes (roughly) and came to the amazing result that would be on an assumed distance of 400 km with a space utilization of 50% on the tube diameter immense amounts of energy available: at least about 1.6 million square meters for solar use. With an annual solar capacity of 1200 kWh / m² and 15% efficiency, 105 W / m², so 168 kW, are combined on the calculated area of the radiant power. An electric locomotive needs about 15 kWh / km [DB AG]. With a travel time of 3 hours and 400 km distance, the average power required per locomotive would be 1500 kW. The amount of energy generated would therefore be enough for the operation of some locomotives on the fictitious track, also the tube locomotives should still run better in efficiency than a conventional electric locomotive. Interesting, even if my assumed values reflect the facts very simplified. TW / sandwich pipe modules - can be produced as follows: In hot flat glass bending process, all-round interbars (50 x 4 mm) are encased in a module. Then the module, outside (2 / each 3 mm; inside 1/4 mm) again, to the finished full safety glass, sheathed. The interbars, which are prefabricated as wired glass, thus become a lightweight yet highly resilient sandwich structure with a large proportion of hollow space. Bow and tail pipes are made as a sandwich, from falling toughening, immediately in certain radii. At 430 kg per meter, one module comes to 7.3 t glass weight. The strength of our pipes with such hitech material is even higher than the load capacity of steel / concrete (3). This method is mainly used recycled glass. The groupage of used glass is sufficiently available for a TW expansion. (1) GaAs are Galium Arsenic Cells and CIGS Cells are also lower in price than the stiff, heavy silicon panels are thin film wafers and lower in price than previous silicon panels. They exploit a broader spectrum of light, and even in this bad weather have almost as much power output as silicon cells, which only deliver crop yields in direct sunshine. CIGIS- and OLED-films are light in weight, have a long service life and are not a waste problem. (2) An identifiable microstructure on the surface of the inner tube (similar to that of the sharkskin - Riblet) is to be determined in each case adapted to the tempo range. These textures positively influence the laminar stall and save a lot of operating energy. (3) In GEO 6/03 this is a detailed report of today's glass applications: Modern architecture builds with small, but highly resilient glass pipe supports large buildings. The testing center of the building and approval authority was unable to collapse the test object with all the force of the hydraulic press. Even under bombardment with steel bolts, the pipe section stood up for days. (4) For the problem of a generally growing memory requirement for current surpluses there is the attachment of eg. ADELE, that is compressed air storage power plant; or Prof. Eduard Heindl's meaningful and quite feasible proposal - to read in www.lageenergiespeicher.de. To estimate the energy requirement you need 1.) the amount of energy needed to generate airflow, and 2.) the energy consumption per cabin. The demand can be determined in tube cross-sectional area times speed times pressure expenditure. For each slider a value between Hagen-Poiseullscher equation and Reynolds number applies. If a pressure of only one tenth of an atmosphere (= 0.1 kp / cm² or a 10 cm high water column) acts on our cabin's stern with 3.2 m² of circular area, then a force in the direction of movement of 3200 kp acts on the cabin; This would allow a weight of 3 tons to be accelerated to over 75 km / h in 5 seconds! Just as small and large ships navigate waters under the same conditions, it is physically comparable to consider a small or large pipe diameter with equivalent flowability. However, this long distance-flow requires my approach with internally powered electric locomotives and the hermetic friction-free seals on all moving in the air flow sliding cabins and sliding capsules. # The normally increased force required for ascending the mountain is almost completely spared the hermetic system by the subsequent unimpeded downward sliding of equal loads! # The system replaces heavy chassis. It bypasses the outdoor air conditions where resistance increases reciprocally as speed increases. TW uses his air as a positive driving force! # The overall system is highly resistant to wear. # The system replaces heavy chassisand friction and equally heavy track substance. # The material basis and the solid production process make our low-maintenance operating sections made of used glass fully profitable. # Our fast tube air works with only 0.4 bar difference between suction and discharge side. # As energy prices generally do not fall any further, and this economic and ecological plant should pay for itself in the medium term, the solar-technical conversion is worthwhile. # never needs snow chains. # Also massive mountain tunnels are almost always unnecessary. # they are able to gradually relieve climate-damaging traffic. ... to which the technical approaches of TW offer the solution for an affordable turnaround! How safe is the TW operation and its structure? The TW-IC networks are - as is common with railway networks - subject to nationally separated local authorities. Nevertheless, uniform standards for grid maintenance and maintenance are needed. Thus, e.g. all TW-IC networks globally have a uniform pipe diameter. As a transport of the future TubeWay is sensitive to manage and monitor. With a new high standard for safe transport operation, it relies on radio and fiber optic telematics as well as on a highly trained care and specialist staff in all area structures. All system functions are protected by mutually controlling computer systems and emergency generators. Only passengers with a personal, active prepaid card can enter the network and use it within the booked routes. Every pipe tunnel is protected against traffic so that only entrances and exits to the sliding cabins are possible. Each platform has at least one supervisor. A sensible pricing policy ensures a safety-enhancing distribution among the users. Freight transport tariffs should therefore be more cost-effective at night than during the day and - at the same time - this should apply to passenger transport. Each cabin has a direct speaker system, fire blankets and is camera-monitored. For plant safety, the lines are selectively equipped with pressure anomaly detection and have external sound and motion detectors, recording videos and possibly a night-vision device at sensitive points. The defined high-security programs in the logistics center work under constant supervision. The highest decision-making authority remains with human supervisors. Any necessary braking of a section is initiated in the affected regional headquarters by local diversions. At a stop, with the need to exit, instructions are issued from the respective headquarters. Repair or rescue squad-teams are then instructed immediately and are appropriately equipped for the event. The front and rear sides of the cabins, as well as the capsules, have emergency exit doors open in the event of an emergency, and on each pillar arch the route provides an emergency exit and emergency exit (via transversely adjustable ladder rungs). If the brake command for a stretch of section comes into force, then a bypass system (by reverse loops, a station or a park loop) avoids this section. Units behind a handicap zone simply leave them; but those immediately on the spot are stopped and pneumatically returned to the last turnout. The transportations of the entire network remain unaffected. Driving up does not allow the requirements of TW technology. Ultimately, a strongly compressed air cushion would find a damped braking distance via the outer capsule sealings. The units, as well as individual electric locomotives, can be braked via the central station. The transversally movable sleeves or sliding seals (O-rings, each between the tube modules) offer the operating ranges even in flood, storm or mid-earthquake favorable safety margin and mountain facilities. The TW pillar archs, which are located close to the ground, must be able to withstand constructionally a heavy impact and are carried out in accordance with probation. These are carried out correspondingly reinforced. Delivery transports glide over the costs designed mainly at night in the system. Their destination codes are stored in the on-board electronics of the drive units as secure interactive control. Dangerous goods remain entrusted to road freight and the proven rail park-and-rail. All TW components are replaced with new ones at specified intervals. The reliability of the overall system could be as high as in air traffic. For quick bookings, the network customer taps his destination on the interactive touchscreen network at the portal of the terminal and makes the transaction with the credit-based TubeWay / Card. The TW-Card and the identity of the cardholder will be checked carefully. Arrived at the destination, the distance traveled is booked electronically. Carriage of freight is booked by telephone, fax or internet. The used sliding capsules are charged according to distance kilometer and weight via a user account. The Freight Agency offers bulk, liquid, commodity and coolable capsules. It manages these and also carries out the relevant loading logistics. For the day / night user Switching each high-floor garage halls with conveyor racks in logistical distribution density are affiliated. A circulating, about half-hour replacement is partially automated, whereby the transport capsules have already been loaded and sorted by the forwarders. The almost exclusively private forwarding business co-operates with TW network logistics on a timely basis and participates in network usage tariffs. By contrast, the TW network operator is responsible for around three-quarters of the public passenger transport. The TW network operator, on the other hand, is mainly responsible for public passenger transport, which also offers pedestrian-free parking spaces within the cabins. A long transport capsule offers - in the TW / IC network - up to 13 tonnes of payload or loading capacity for 26 EU pallets. All capsules can be emptied via edge; Sorting load grippers are used during loading and unloading. The freight shift is thus transport logistically efficient to deal with. Freighters and factories can buy or rent their own supply pipes from the operator. This kind of cheap transport leads to network expansion and bring appropriately adapted loading terminals. Its application would be of benefit to urban space and regional traffic. In the city center, all TW routes run just above the buildings and partly rest on them. Sit-in-surf offers through the side entrances and exits to the 3-bank rows of seats a high transport density (each ~ 65 persons, at short intervals), which particularly benefits the occupational traffic. The spiral sheet tube paths applicable here are well suited to the stresses of rough terrain as well as all climatic and seasonal conditions. The length of the tube modules can be about 20 meters. The distance of the pillar archs can be up to 100 meters. Due to the tube material, this short-distance system offers no view to the outside; Therefore, you can think of an offer of discreetly quiet music. The space required for strollers and wheelchairs is about 3.5 m of the interior. There are no on-board toilets in this short-haul network, but larger stations get toilets. TW as sit-in-surf is good to start everywhere; and for this purpose only about one million euros are to be estimated per kilometer. Also at Pre-development cost only about a quarter of the cost of the large tube can be expected. TW / Sit-in-surf in the city area with max. 85 km / h; in the regional area it reaches up to 210 km / h; the big TW / IC "flies" even with only once estimated ~ 320 km / h. Maybe there is even an even faster pace with this technique? The transport capacity in a sit-in-surf long capsule would be about 18 pallets with up to ~ 8.5 tons of cargo capacity. It should be noted that all proposed data are only rough estimates - and their accuracy is not guaranteed. ... with 40 cm diameter, however, suffice 35 km / h. Per 75 cm long capsule 20 kilos of goods are allowed; and they glide to their destinations with the same transport technology. A flex joint also ensures good cornering. This urban above ground supply and disposal network would be within our metropolitan areas - e.g. for ordered purchases, the official form, food delivery, post and parcel services, garbage disposal (including the public tons) etc. - of generally great use. Companies such as private individuals could be optional connected to the 40 cm network, as in the case of district heating. It would come relocated in the sidewalks (on request also vertically in your floor) and offers appropriate capsules on order. TWs mean that urban traffic areas - with reduced traffic volumes - can be returned to usable, green and quiet living and experience spaces for residents. The technical advance development can be - with little financial risk and danger - on the small 190 cm net or 40 cm network create; second lowers u.a. the municipal garbage collection the operating costs. What business aspects does TubeWaySolar® have as a own system ? While TW mobility requires a lot of pre-investment and carefully planned implementation steps, once established, investors and operators from TubeWay could consistently generate secure profits.A variety of businesses would parallel with. This initial network can generate the large IC network within a phased financing plan. In legal form, e.g. conceivable that the pipelines are in national ownership; the solar energy output could come from an AG, and the fleet could be under co-operative administration. So here are several hybrids possible. TubeWay-Mobility is able to stimulate important segments of our market and work environment. It creates a win-win situation for customers, operators and our environment. The EU can use its R & D funding programs to co-invest in TubeWay and thus reduce emissions compensation over the long term. Skills from science, investment, EU infrastructure planning, municipalities, environmental groups and related industries are now addressed. Results from a feasibility and cost-benefit study as well as an acceptance and environmental assessment are required and still pending. Now it needs the appropriate capital consortium with affinity to politics and big industry. With the wide PV foils, solar electricity can be obtained in quantities far above the current demand on the TW total lines. The electricity surplus generated during the day can be used as a night stream after being fed into the grid. Summertime surpluses could be offered to competitive off-road consumers. The problem of a generally growing storage requirement for excess electricity are compressed air storage power plants such. ADELE a very viable alternative to all the major battery systems. Also, Prof. dr. Eduard Heindl developed a meaningful and quite feasible solution of www.lageenergiespeicher.de. Railway tracks and motorway routes take up a lot of floor space (1). and the capacity of a TW bi-directional route would be that of a six-lane highway. Road maintenance, winter services, traffic jams and accidents lead to considerable economic costs. TW is weatherproof and rarely needs complex maintenance. When using pedestal-recessed foundations, a stretch is trackless and easy to remove "like a roller coaster" and can be used elsewhere (2). Nowadays, technical implementations are possible very quickly: two dozen specialist teams and a dozen core-area companies offer financiers a manageable budget. (1) Railways cost an average of about 26 million euros per kilometer. For a highway production can even spend up to 68 million euros per km. However, these costs do not even imply the respective track purchase price. Its development kilometer also devours 30,000 tons of rare, expensive sand. In the rollover, even the TW / IC expansion, with a well-developed production structure, should settle down a lot below the expansion costs of a railway line. A combustion engine in the car has an efficiency (energy to energy expenditure) of 33% on average. By contrast, DC motors used in TW provide about 95% power efficiency. Do TubeWay's have realistic chances? Not a single drop of lost fuel ever becomes available crude! Fluctuating costs and the import volumes are dependent on Europe. Oil crises and rising energy costs do not affect this system or even indirectly increase it. Usual objections of affected landowners need not fear the highly trimmed TW / guiding track. No plot is shared or restricted agriculturally. TubeWay glides over fields, woods and pastures - visually discreet as well as emission-free and noise-free. social security and positive cash flows. All this speaks for TubeWay. Technical implementations are very fast nowadays: about two dozen specialist teams as well as a dozen core companies are likely to offer financiers at TubeWay a manageable budget. As a public service provider, TW places itself as an independent mobility provider. An overall sustainable solution for our future general mobility needs must be found! The very simple TubeWay technology would be in the expansion by about 2/3 cheaper than a high-speed railway line. Because of its ecologically relevant, gentle and adaptable technology, a broad customer identification would quickly emerge to this modern form of mobility. In the case of planned development, TW mobility is within fourfeasible up to seven years. Well developed, even a prototype route could prove to be profitable and establish itself. TubeWay does not depend on public permanent feed after its establishment; this, too, speaks in favor of this type of transport future. Hyperloop-one, Virgin Hyperloop and HTT operate for years a Frenchising with ever new success stories with technically vague short info. This and more is well traced in www.buch-der-synergie.de under >> Hyperloop. Whether ship containers can be transported in Hyperloops has not yet been answered clearly. From a logistics point of view, TubeWay would well adapted to the usual pallet redeployment at the port. Underwater pipes and long-distance tunnels are on closer consideration, however, rather uneconomical. Also> Skyway <offers nice 3D-pictures - he is in the shown route but also rather unlikely. However, from a logistical point of view, a pallet transfer at the port is a common method that would be compatible with TW. There needs to be a broad general solution to our future general mobility needs. The very simple one TubeWaySolar-technology is expected to be around 2/3% cheaper than high-speed railway lines. >> http://faculty.washington.edu << - there in Index#1 > tubeway. There you will find a collection of partially implemented mobility approaches from all over the world. Also TubeWay is evident in these. Nowadays, technical implementations are made very quickly: two dozen specialist teams and a dozen core-area companies offer financiers at TubeWay a manageable budget. TW has been developed in accordance with the 160-year proven pneumatic tube. He carries passengers as well as goods through the all-moving internal drive. TubeWay's glide emission- and turbulence-free in the permanent-pneumatic airflow. TubeWay wants to avoid linear motors as magnet-induced track equipment - due to limited availability of magnetic material, because of weight reasons of these routes and "Pods", and the noise - avoid. TW high breeds also open the field for people, animals and agricultural work! We are in a lively discussion process, in which suitable alternatives with responsibility for humans and nature are sought. TubeWay may stand for the decision to make technically easier, ecological mobility. Due to the global shortage of resources and energy, there is a need for alternative means of transport. Efficiency and sustainability are needed to cope with the continuing increase in carbon footprint - and TubeWay offers this freely available, technically new and affordable solution. Should future traffic be designed solar? With TubeWaySolar as a broad transport system, we can extend the preservation of precious resources crude oil / natural gas a lot. For climate damaging exhaust gases and road asphalt, our mineral oil is way too valuable! Even for an ecological future, we still need our oil for many applications that we do not know today. With TW, crude oil imports, climate pollutants, noise and traffic accidents are targeted. For the climate polluting fuels and road asphalt, mineral oil is much too valuable! Even for an ecological future, oil still needs many important applications that we do not know today. The change to the renewables can be done on all sides with advantages. After all, he should and must enable his future generations to support his life. Time is pressing to preserve this wonderful and fantastically unique creation! to encourage global common foundations. Let us actively take this assignment! Thank you! a real security and participation! Please forward this preliminary study to the persons and bodies concerned with this topic. Thank you! and enable us to continue our economic activities and mobility. Your TubeWay appears as a modern, sustainable, ecological and future-oriented mobility solution. With "TubeWay solar", without having to compete with currently available public transport, new urban development / extension areas could be connected to the existing transport network, or demand-related cross-links could be created in particularly sensitive zones. In the case of the present, positive result, an implementation that would initially be realistic on test track length for practical experience would be realistic. Since Austria is known worldwide for technical innovations, we see good chances for your idea, especially in times of energy price uncertainty. In this context, we would like to draw your attention to the Promotional Banks (AWS) and EU funding programs, which in your case could provide financial support for any necessary, in-depth studies. We wish you every success in implementing your already realistic mobility concept. Inventor, author and domain operator for TubeWay and the other concepts of this site. I am 65 years old, happily married and have three children. Previously, I worked professionally with handicapped people, but also did various technical jobs. My wife and I have been interested in ecological and future technologies for many years. I am available for any kind of cooperation concerning further development. I look forward to your feedback. Thank you for your interest - please share this link. © 2000 Script and Innovation - Michael Thalhammer - Last update in March 2018 -Vienna - Pictures and video 3D - Petrus Gartler,Graz - Designerei; and Pexels and Pixabay.